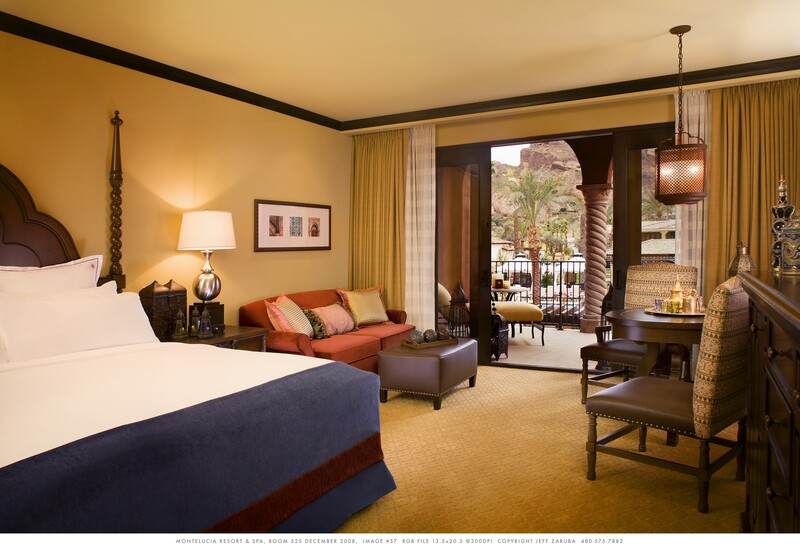 Our one night incentive at the Omni Scottsdale Resort was more than expected. Arizona is noted for its Mexican/Spanish heritage. 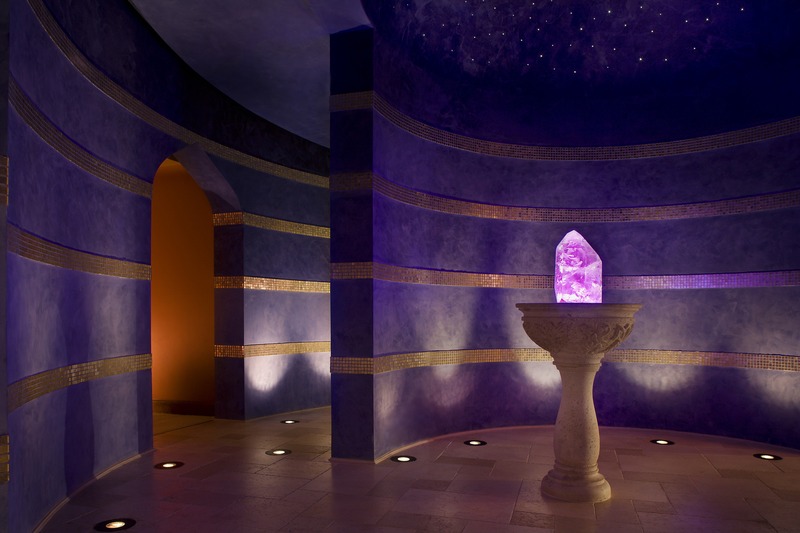 This Omni Resort goes even further by adding a Moorish-inspired touch of Andalusia, Spain. 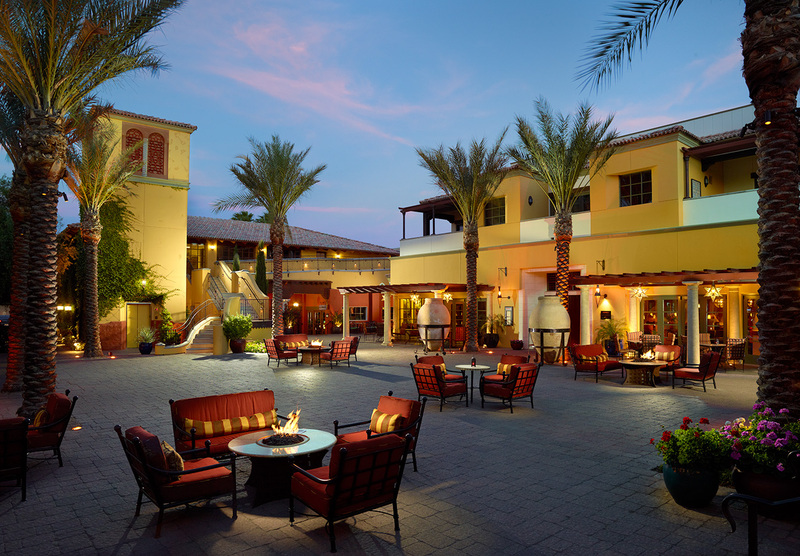 For Omni Montelucia, located at the base of Camelback Mountain, the phrase “Montelucia,” translating approximately to “mountain light,” was appropriate.We checked in early afternoon to enjoy the property before our Puerta Privada Experience. Our anticipation had been building, as we were contacted ahead of time to see our preferences on massage therapists and then came a call from Chef Tom. He wanted to check the menu to see what our likes and dislikes were. Neither of us were sure what to expect. 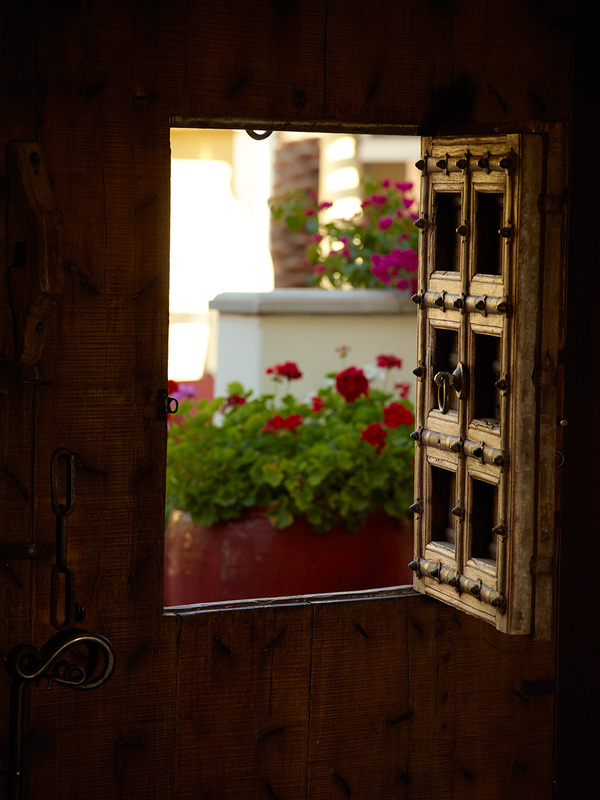 Now, believe it or not, we got another call with a secret password to use when we arrived at the Castilian –style doors. All of this added to the intrigue. Our experience was not to start until seven-thirty, so around three in the afternoon, we checked out Crave Café for some of its homemade delicious gelato before heading to the adult pool. The bewitching hour was approaching, as the sun was starting to rest over Camelback Mountain. Even though we’ve been married twenty-four years, we felt romantic, lovely, and smiling like a Cheshire cat as we knocked on the large wooden doors, provided our password and entered a world of intrigue. Our butler led us up the staircase where we each put a stone in the fountain and made a wish. In this deeply peaceful environment, the massive crystal drew us near. As we both placed our hands on it, we took deep breaths to prepare for what was next. As we ventured down the hallway and the doors opened, we were overwhelmed by the exotic beauty and old-world charm of our spa suite. 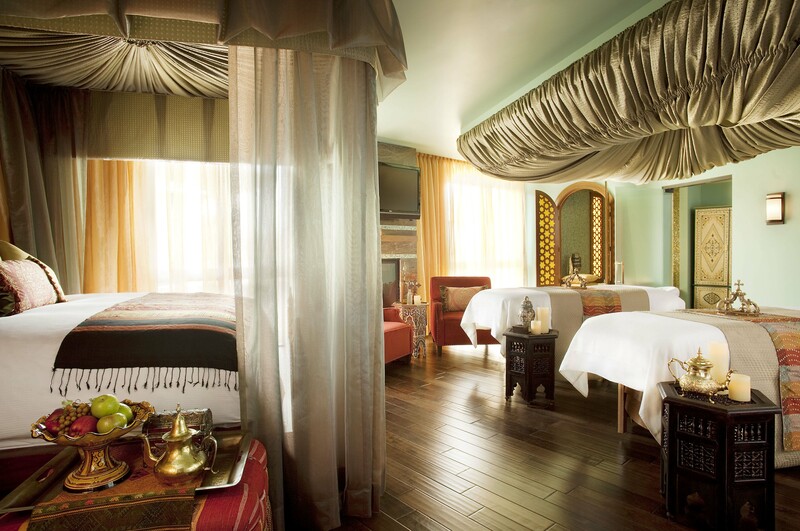 This spacious hideaway was accented with candles, antique lamps, plush pillows and Moroccan antiques. Our butler showed us around the suite and the terrace outside. It featured a private pool which lights the air, a telescope to look at the stars, an iPad with an app to discover all the constellations, and the table where we would enjoy our dinner. Back in our suite, our butler introduced us to our two massage therapists, Abigail and Angie. They had us change into our robes and slippers and relax for fifteen minutes before our massages. As we rolled around the bed, tossing pillows out of the way to be close, we appreciated the quiet, peace, no phones, and joy of just being with each other and savoring the moment. At eight promptly, Abigail and Angie returned to start our massages that were suited for each of us individually. First from a chart of flowers, we picked our favorite and they let us smell the oil to match. Norm’s was right on target and Maralyn’s needed to be adjusted, and then we were in for an hour of sheer bliss where all worries and cares melted away. We’d never experienced a couples massage before and sharing this quiet and peaceful time with a soft jazz/blues music in the background was magic. At nine, our massage was over, but we still had more to come. 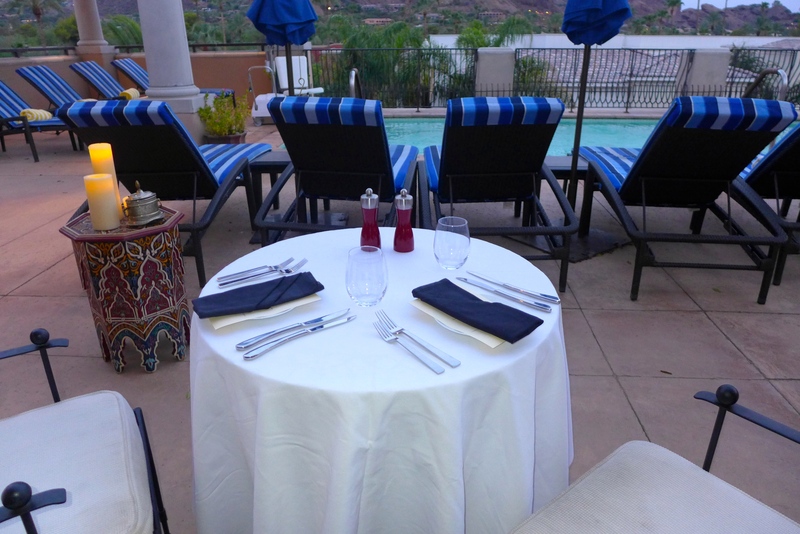 We chose to change and enjoy dinner in our regular clothes, but we could have remained in our robes, as the terrace was ours. The exquisite flavors of our Spanish-influenced meals came to life, starting with our champagne toast. Our first course and wines paired well to accompany each. 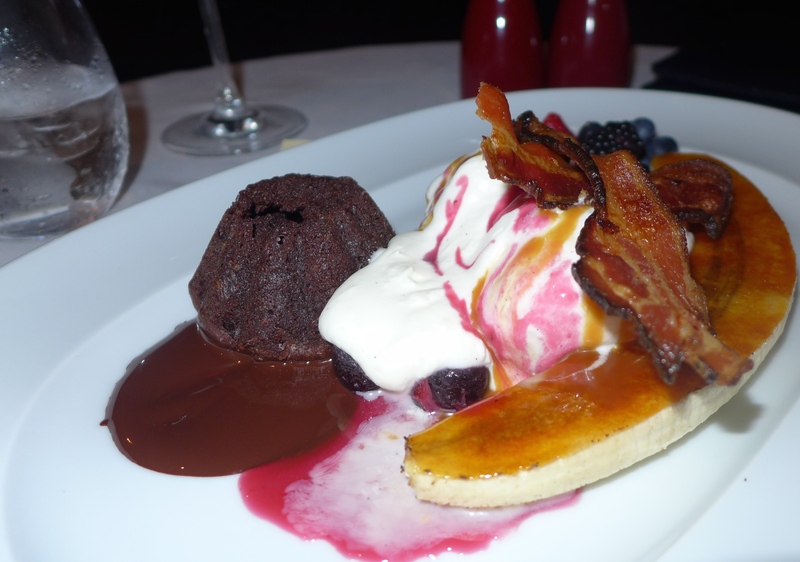 In a moment, we will share our customized menu, but before, you need to know we dined at our own pace. We could ring for our butler if we wanted to speed up the pace or relax and take more time to slow things down. 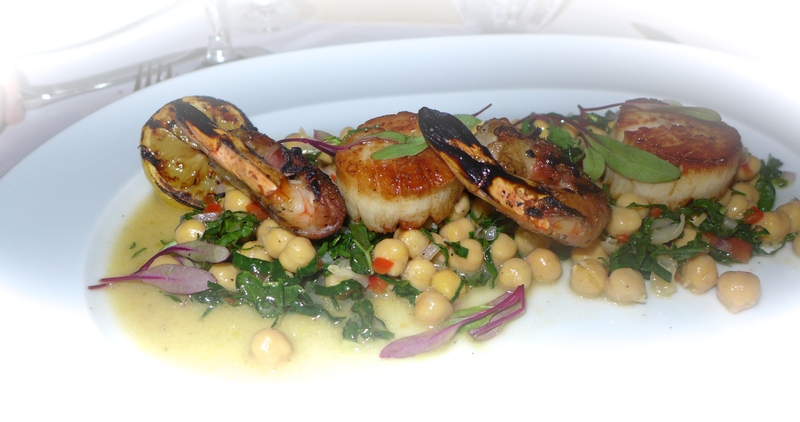 Toasting each course, let us celebrate a different aspect of the experience. 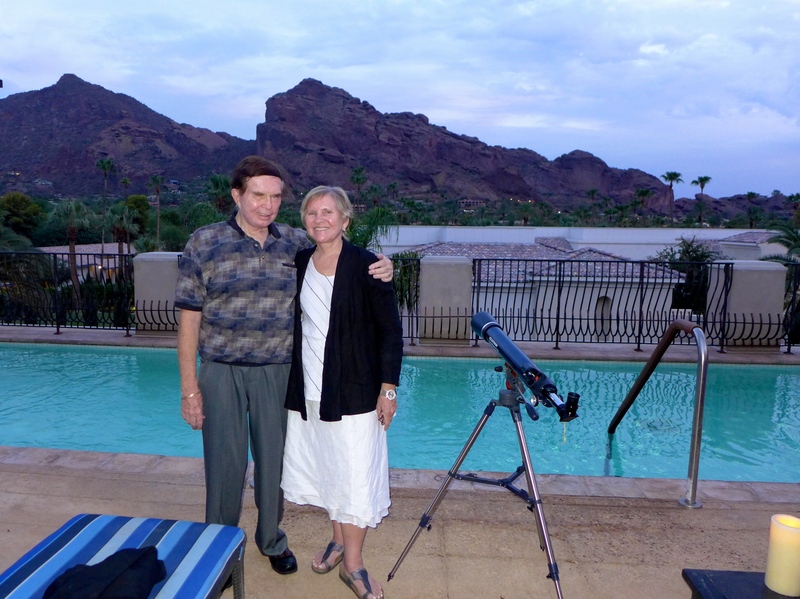 We enjoyed playing with the iPad and finding constellations in the sky around Camelback Mountain between each course. 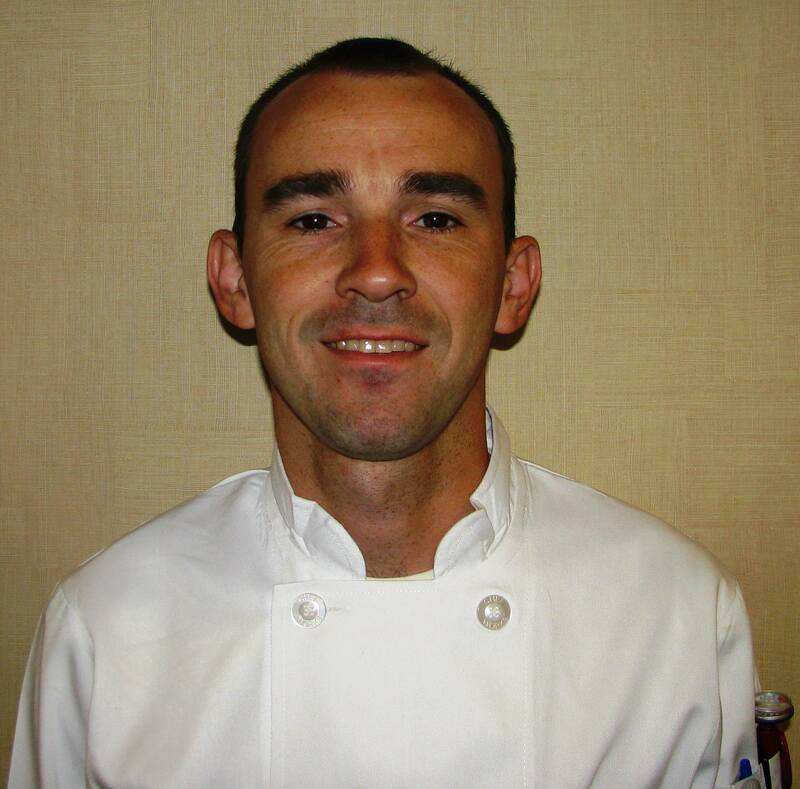 Chef de Cuisine, Tom Vykulil, also came out and introduced himself, before, during and after the meal. Everyone wanted to be sure we were satisfied. 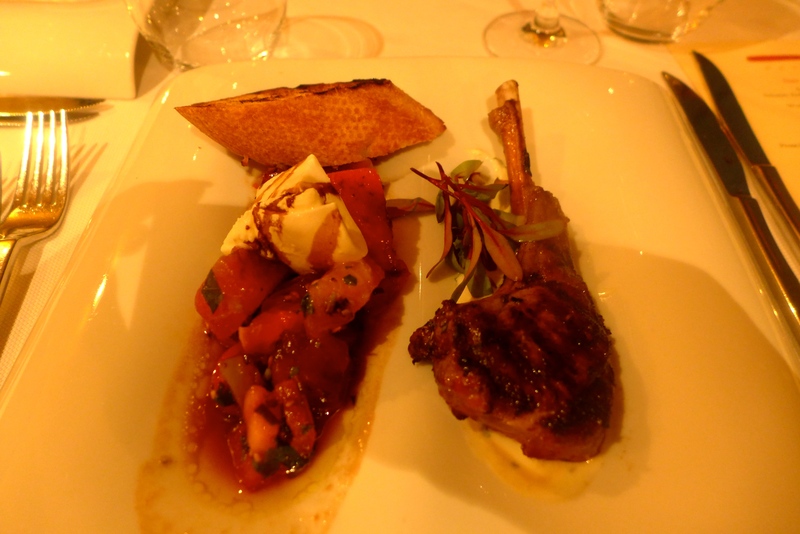 For both of us, the lamb chop was a real winner, but the entire meal is one we will never forget. When we finished our meal, we sat back and relaxed. No one rushed us, including ourselves. It was late for us to finish dinner. But, we were so comfortable, we just wanted to enjoy the surroundings. We were looking over the pool, out to Camelback Mountain, which still shows up clearly in the dark. One of the topics of our discussion was just how much we enjoyed this extraordinary experience. 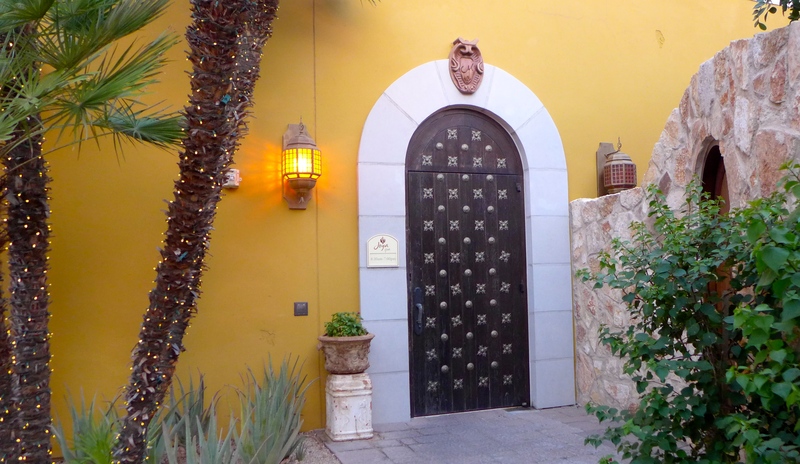 Neither of us are known for relaxing easily or often, and yet our Puerta Privada Experience at the Omni Montelucia achieved its goal in having that happen. When we walked back through our beautiful suite before exiting the spa, we walked hand in hand down the staircase to return to our lovely room. Our evening was romantic, memorable, relaxed, rejuvenating and beyond anything we ever expected. Thank you, Omni Scottsdale Resort, for having us be one of your guests to initiate this wonderful program. Photos courtesy of Omni Scottsdale Resort except where noted.